Geoff Kite adds a cheap digital thermometer to his well-mounted outboard engine to let him monitor its temperature - for a cost of £1.90! 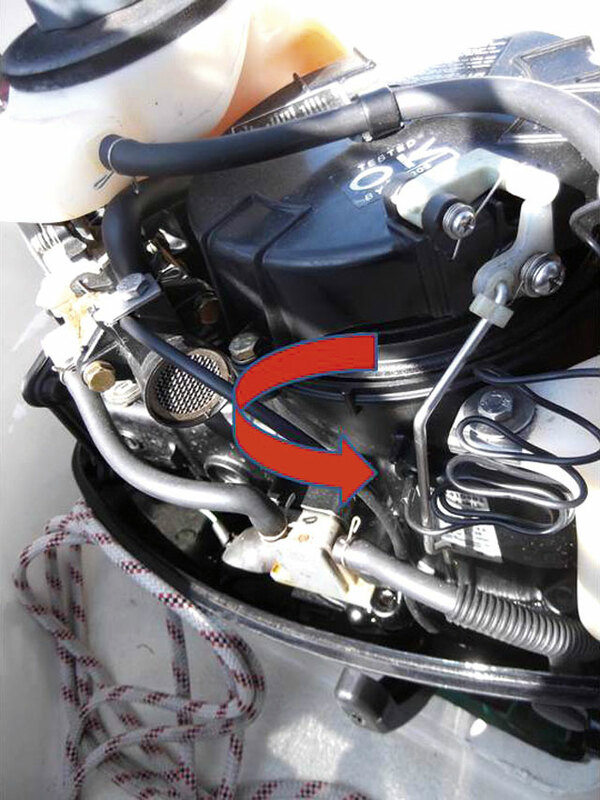 The outboard on my Hunter Liberty is located in a well in the cockpit from where it is difficult to see the cooling water tell-tale. I could monitor the outboard temperature in a similar manner. I mounted the thermometer in a rectangle of white plastic from my junk box and bolted this through an existing hole in the carrying handle of the motor. The sensor was located on the cylinder wall and the connecting wire then exits under the cover. The total cost was just £1.90, but my next improvement will be to fasten the thermometer with Velcro instead of a bolt to make removal easier when I need to lift out the motor.